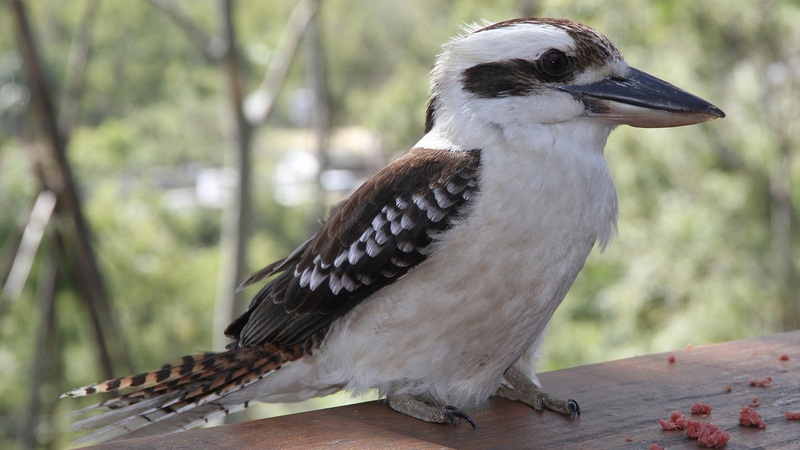 The laughing kookaburra is well-known for its iconic "laughter." These vocalizations are known as the "bushman's alarm clock" in Australia since kookaburras tend to call out to one another at dawn and dusk. 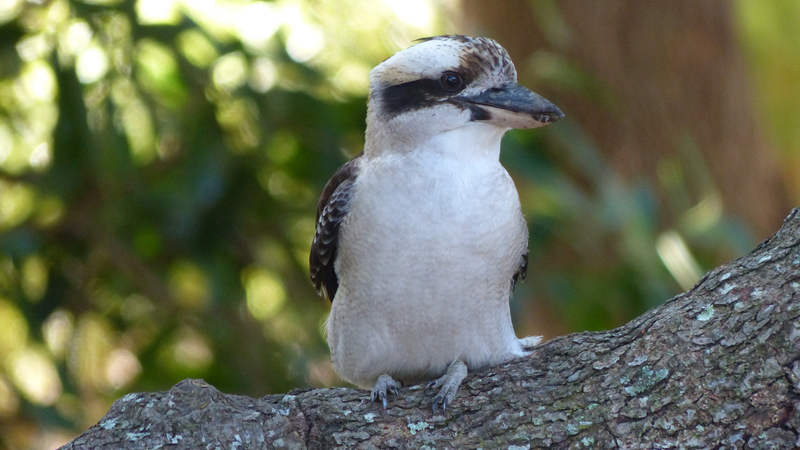 The laughing kookaburra is the largest member of the kingfisher family. Most species of kingfishers are brightly colored in blues and greens and dive to catch fish as a staple of their diets. The laughing kookaburra, however, has rather dull, cryptic coloration and does not eat fish primarily. These stocky, vocal birds use the sit-and-wait method of hunting, perching in complete stillness on a branch and waiting for prey to pass by. They mostly eat insects, frogs, reptiles, and rodents. They cannot tear their prey with their bills, so they will use their strong neck muscles to smash food items against hard surfaces in order to kill and tenderize them. They them swallow their food whole and head first! 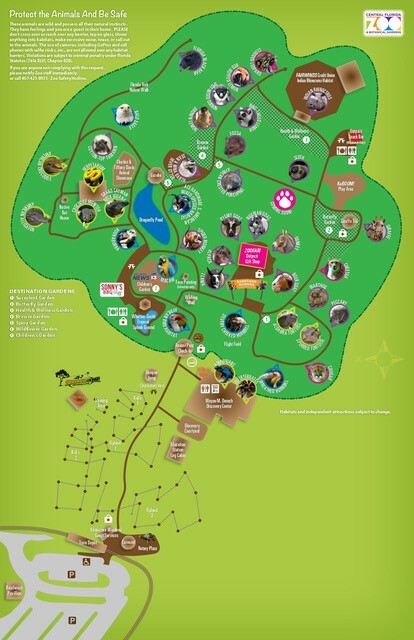 Many of our guests at the Zoo like to sing the Kookaburra song when they go by this habitat, although they definitely don't eat gumdrops! Their calls are often used in movies with rainforest settings (usually South America or Africa), even though these birds are only found in Australia. Kookaburras will sometimes steal food directly from snakes! Typically nest in cavities of the mountain gum tree. The females lays 2-4 eggs. When chicks hatch they have black bills that turn o shade of off-white within the first 3 months of life.